A message from Labios Rojos, the Red Lips female detective team, in LABIOS ROJOS. I never thought I would see it, but now I finally have. I'll be adding a review of the new Spanish DVD in the future. 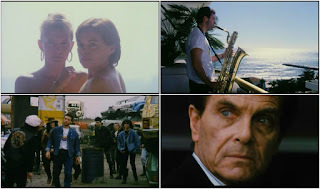 A familiar and repeated image throughout Jess Franco's long, twisting filmography is of a small boat or a large ship on the water/at sea. 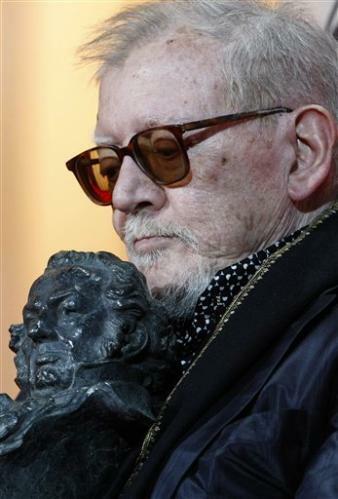 Many of his films open with shots of ships (BROKEN DOLLS, to name one prominent example). We also see zoom ins and out from various sized vessels in LA COMTESSE NOIRE (1973), BARBED WIRE DOLLS (1976) and others. Below is an example of this in his 1973 masterpiece AL OTRO LADO DEL ESPEJO. First we see Ana (Emma Cohen) from a child's Point of View, playing with a picture book image of a small boat being eaten by a whale. TOP: Interior. Ana's villa. Flashback--A day in her childhood during which she plays with a paper boat in a book. BOTTOM: CUT TO-Exterior. Ana's villa. Present Day--A large tanker in the bay seen as she meets her fiance. 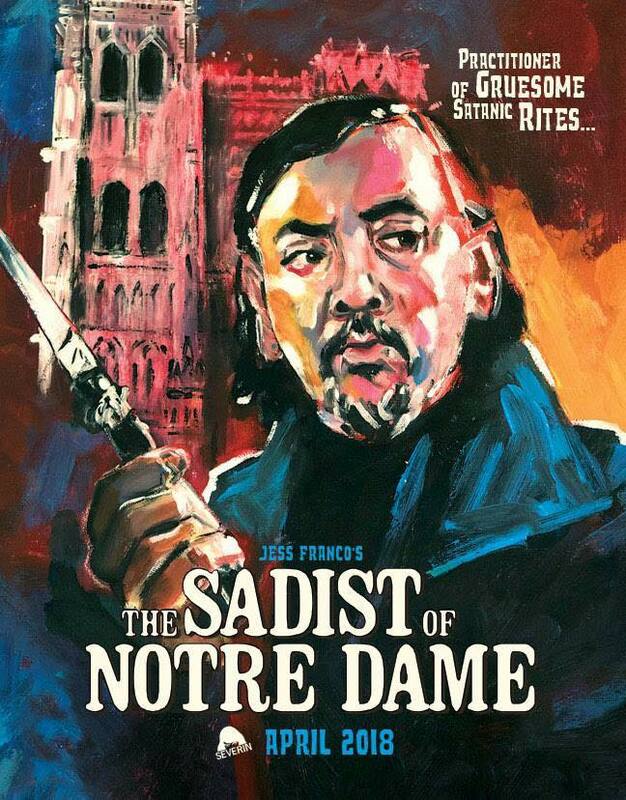 An upmarket Jess Franco film, complete with crane shots, direct sound (! ), exploding cars and numerous extras, Downtown Heat reunites Jess Franco with his Jack the Ripper star Josephine Chaplin for one last stab at mainstream filmmaking. 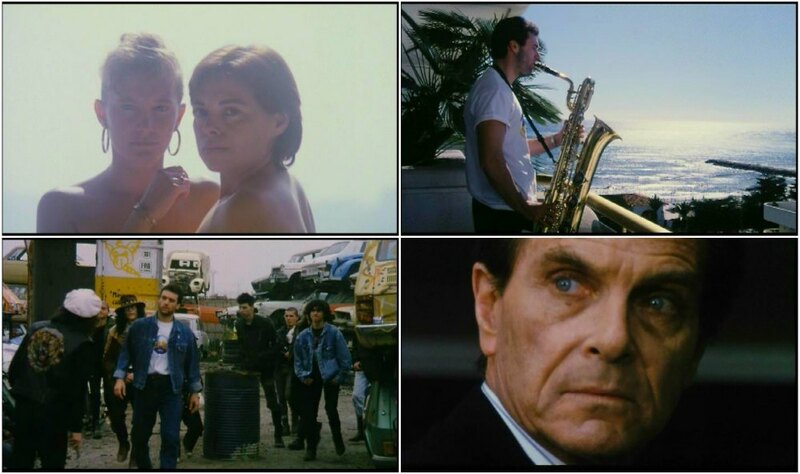 Reasonable budget aside, Downtown Heat is very Franco, with odd, jagged editing rhythm (courtesy of Lina Romay), lingering shots of the sea and Daniel White's ever-present music. Craig Hill is excellent as the villain, showing class and intelligence in a part that would have befitted Howard Vernon. Busy behind the camera as production manager, Antonio Mayans appears in what amounts to a cameo. Lina Romay is memorable as the leader of a street gang while cult actor Victor Israel pops up early on as an alcoholic tramp.Franco had a gift for shooting simple things in a confusing way - some of the dialogues are framed in disorienting, tight close-ups while potentially elaborate scenes, such as shoot-outs, are treated as throwaway or filmed in the most basic manner imaginable. Following Downtown Heat, Jess would make the entertaining but poorly received Killer Barbys, before embracing the digital medium and unleashing a bevy of abstract art oddities often shot in his living room. www.franconomicon.wordpress.comComing soon: Review of the Redemption Blu-ray presentation of THE SADISTIC BARON VON KLAUS. 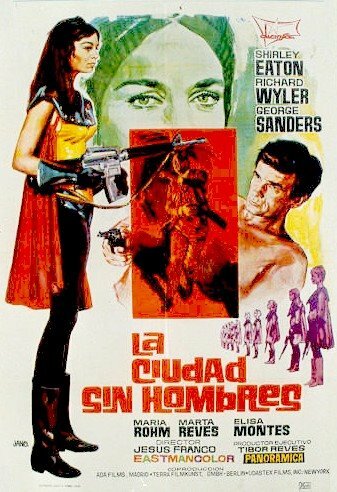 Recently published articles on the the wordpress.com sister blog include reviews of the Severin Blu-ray editions of VAMPYROS LESBOS and SHE KILLED IN ECSTASY.